Another great read from my American girlfriend living in France. I don’t know Ms Lesage personally but that is how all her books make you feel. Vicki herself best describes her latest book. 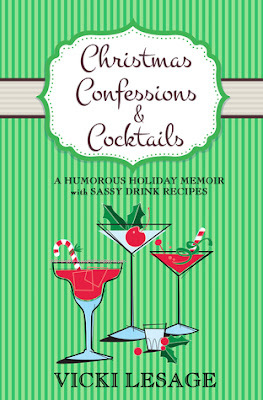 As she says in her introduction she has taken two things she loves – Christmas and cocktails – thrown them in a martini shaker, and mixed up a fun, seasonal collection. Each story has its own cocktail recipe themed to the story. Vicki’s previous books mostly covered her life in France but this collection is reflective of Christmas’s past in both France and USA. They are a balanced collection of funny, happy and sad stories; all told in her honest, open way. This is a more mature Vicki than we met in her earlier books, motherhood can do that to a party girl, but she is still able to tell a good yarn and laugh at herself. Reading Christmas Confessions and Cocktails got me reflecting on my own Christmas’ and the funny, happy and sad, past and present family members I shared them with. While I read the Kindle edition I am very pleased the book is also available in print. A Kindle book as a Christmas present just isn’t the same as the real thing. A few of the stories are repeats from previous books but hey! It’s Christmas. Time to put your feet up and enjoy some fun, light reading – with cocktail in hand of course! I avoided the temptation to try each cocktail as I finished each chapter which is probably just as well because I do most of my reading early in the morning. My only disappointment was that living in Australia I was not familiar with some of the ingredients. That means I can only try about 20 of the recipes this Christmas instead of all 25. Living in a climate with a hot Christmas I’ve bookmarked Badajoz Sangria to serve my family this Christmas and even with our warm climate it won’t stop me trying the ‘white’ Christmas ones. Oh and for those like me that live in a ‘metric measurement’ country – get out your metric converter so you don’t spoil the final product. Cheers Vicki! And Merry Christmas. 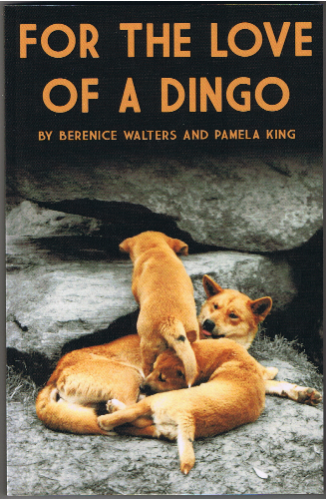 This is the story of the love Berenice Walters had for her Dingoes and her endeavours to prove they were not the savage and sinister brute authorities portrayed them as. The stories in this book are about three of her Dingoes; Dora, Napoleon and Snowgoose. They tell how she acquired her first Dingo, eluded being arrested and her Dingo being destroyed then successfully obedience training her Dingoes. 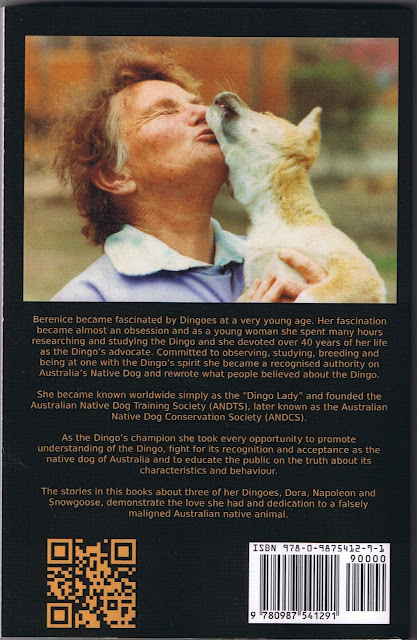 They tell how she proved the so called experts wrong about the character of the Dingo but mostly they tell of her love and dedication for the most falsely maligned of Australian native animals. Overseas buyers can purchase through Amazon. She devoted over 30 years of her life as the Dingo’s advocate. Through commitment to observing, studying, breeding and being at one with the dingo’s spirit she became a recognised authority on Australia’s Native Dog.